Excuse the use of a cricket phrase for a golfing news piece, but this best describes the achievement of three NGC members who have played together for many years and who demonstrate that golf can be enjoyed well into your eighties and beyond. 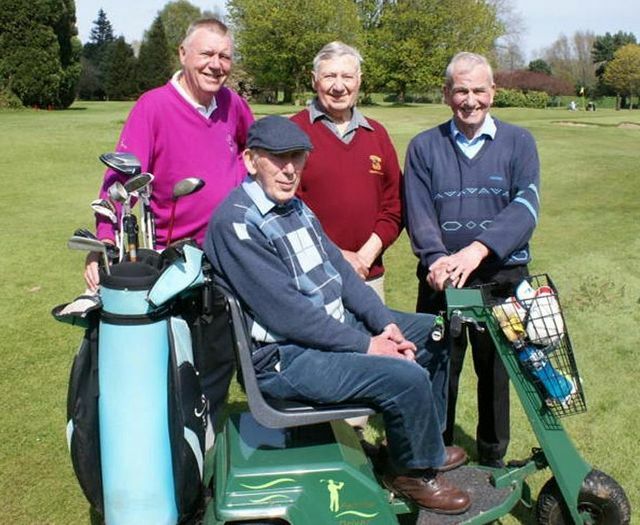 The photo shows Frank Ward (on buggy), Norman Hockenhull (centre) and Les Duty (right) whose aggregate age has now reached 254 years! By the way, Club Captain, Kit Parkington, is the young whippersnapper on the left. Modesty forbids too many details be published on specific ages, but suffice to say Norman represents the group’s youth policy at 79 years old. Congratulations, guys, may you continue to grace our course for years to come.